Ricky Dennis, owner of Mastercraft Auto & Truck Service, has over 30 years experience in the automotive industry. From repairs to sales, he is your person! Our mission is to supply our customer's with quality pre-owned commerical vehicles. To insure their satisfaction, provide maintenance for their fleets and to keep them "ON THE ROAD, AGAIN". 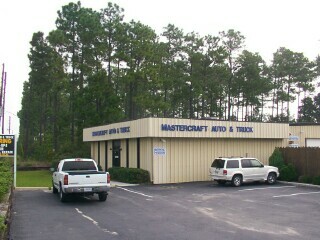 Mastercraft Auto & Truck Service, Inc. was incorporated on July 1, 1989. After being a master mechanic for a Ford dealership for 12 years, I decided it was time that someone took care of the "working man's fleet". The small service contractors were not getting the necessary time sensitive repairs to their vehicles done and were not able to find quality pre-owned commerical vehicles to use. Our speciality is providing service to fleet accounts as well as retail customers. We believe by providing cost effective vehicles as well as cost effective service to our clients, that we can make their jobs easier, so that they can make their customers' lives easier. Let us provide you with professional, courteous service on your vehicles. We also can help you obtain your next van, truck or utility truck for your fleet. Mastercraft Auto strives to provide all of your vehicle or fleet requirements.